The word glyph comes from the French gylphe meaning an "ornamental groove in sculpture of architecture." The term "glyph" has a number of meanings across different disciplines. In archeology, for instance, a glyph a written or inscribed symbol. A good example would be the famous hieroglyphics of ancient Egypt. 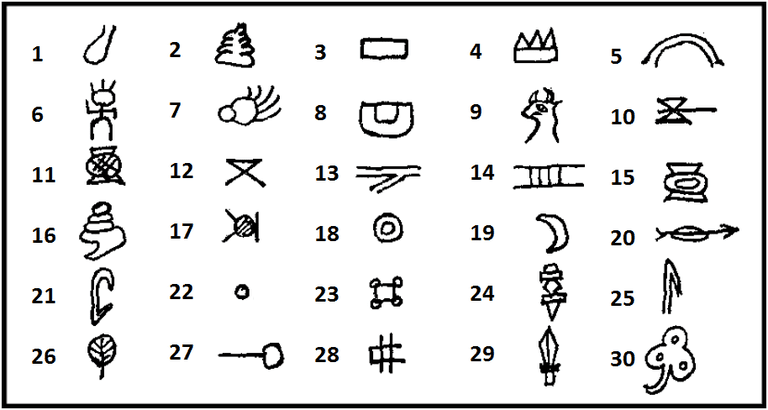 A glyph may be a pictogram, which conveys a particular object or action with a picture. It can also be an ideogram, where the symbol is intended to invoke an idea. The bar across the letter "U" on a "No U-turns" sign is an example of an ideogram, as it communicates that a particular action is prohibited. A glyph may also convey a sound, just as the letters of the alphabet are glyphs. Another way to use glyphs for written language are through logograms. A logogram is a sign or character representing a word or phrase. Emojis, the images commonly used in texting, are beginning to become logograms; however, the intent of each symbol is not always clear. Typography is the art style and technique of arranging written words. Making the words legible is the key for a designer focusing on this visual component of text. In typography, a glyph is the specific shape of a letter in a particular font or typeface. The letter "A" looks different as represented by different typefaces, and the glyphs vary. However, the meaning of the letters remains constant throughout various typographical presentations. Accented letters and punctuation marks are examples of glyphs in typography, for example. Much like hieroglyphics, glyphs can be used by children as a way to gather and depict data. For example, consider a situation where children are presented with a drawing of a shirt. The instructions for the activity is to color the shirt a particular hue if the student is a boy or a girl. After the picture is completed, the reader of the symbol learns something about the child who created the glyph. A legend is also a part of the activity, explaining what each shape or picture used stands for. 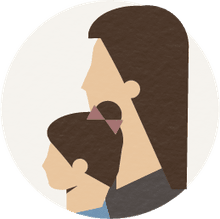 Glyphs can be used in a range of subjects like the sciences, math, and social studies. Using glyphs is a great way to teach kids about symbols, which has wide application in various fields of study. Glyphs aren’t limited to use in schools or for kids’ learning activities. They are often used in medicine as a way to record information. For example, doctors may use a pictorial outline of the human body to record injuries. Dentists have a picture chart of teeth that they use to draw in the location and shape of cavities and other dental anomalies. In computing and information technology, a glyph is a graphical symbol which is used to represent a character. For example, the letter "A" is always the letter "A," and although it sounds the same whenever we pronounce it, the glyph for the "A" in different fonts doesn’t always look the same. Nevertheless, it’s recognizable as the letter "A." In fact, if you've ever taken an airline flight, you've seen glyphs in the emergency cards in front of your seat. From assembling Lego models to IKEA furniture, the glyph is a helpful way to present information and guide processes.